First and foremost, thank you for the warm welcome I’ve received since joining RUSI as the new Director-General, just a few weeks ago. I’m deeply honoured to have been selected to lead this august institution. I am also very fortunate to succeed Professor Michael Clarke, who departed RUSI on 30 November. Michael left behind a thriving organisation, one that influences both government policy and the public debate on matters of international security. He also prepared the groundwork for RUSI’s future, for it to grow in the ways envisaged by the Trustees and Council members, by arranging for the Institute to purchase the freehold for our historic building at 61 Whitehall. Michael’s leadership and sharp commentary on world affairs will certainly be missed, and we all wish him well as he moves on to new challenges. We are currently considering a range of options to upgrade 61 Whitehall, and I will be sharing our plans for the renovation and associated fundraising campaign in due course. We are also planning a careful and targeted expansion of the research groups so that RUSI remains at the forefront in promoting practical and innovative solutions to complex policy issues. In the year ahead, examples of such challenges include Daesh (and other terrorist groups), Syria’s brutal civil war, migration and refugee flows, the UK’s future in Europe, a more assertive Russia (sure to feature at July’s NATO summit), cyber and other related issues. 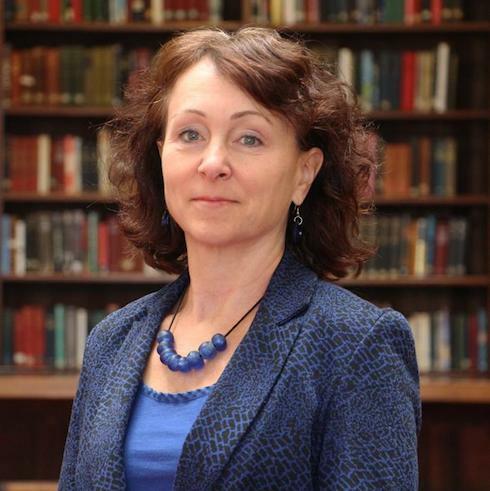 RUSI’s experts will continue to provide advice and analysis on core defence issues, such as the implementation of the 2015 Strategic Defence and Security Review (SDSR) and the Pentagon’s Third Offset strategy. The Institute will also develop further its work in non-traditional security matters, such as countering financial crime and ensuring domestic resilience. To help us manage this expansion, I am pleased to announce that Professor Malcolm Chalmers has accepted the position as Deputy Director-General of RUSI. He is already well known to members as one of the country’s most eminent commentators on British defence policy, as demonstrated most recently by his contributions to the latest SDSR. I’m looking forward to working with him and other RUSI colleagues as we extend the Institute’s reach and influence in the coming years. I am also delighted to announce the appointment of two new Senior Associate Fellows: Sir Malcolm Rifkind and General (Ret.) John Allen. Sir Malcolm and General Allen bring a wealth of first-hand experience in the security and defence sphere that will no doubt be of great value to RUSI’s work, and we look forward to collaborating with them closely. 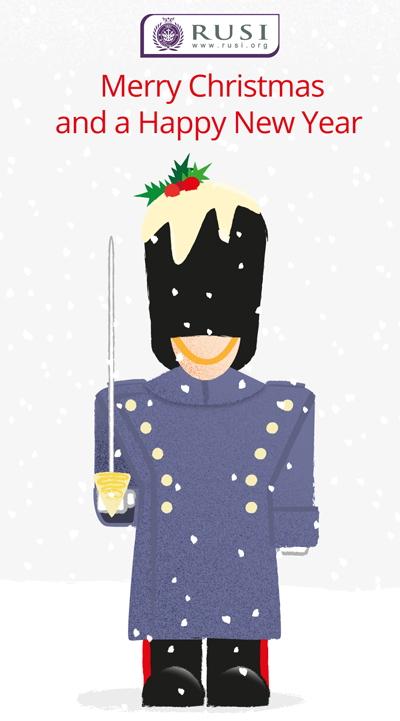 RUSI’s scholars and fellows have an excellent track record in producing outstanding and impactful research and analysis on the major security and defence issues of the day, and 2016 promises to be an even more exciting year. We welcome your feedback on our work, so please get in touch with thoughts, ideas, criticism and questions. As we begin the season of festivities, our thoughts turn to all those who are working so hard to secure our safety this Christmas, not least those troops deployed far away from home. 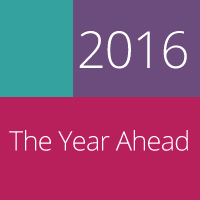 Watch RUSI experts give their assessment for the year-ahead. Login now to watch analysis of the year ahead on Europe, Global Security, UK Defence and much more. 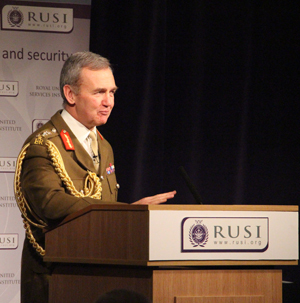 General Sir Nicholas Houghton, UK Chief of the Defence Staff, delivered the annual lecture at RUSI last night. Watch also Air Chief Marshal Sir Stuart Peach, Vice Chief of the Defence Staff. This Whitehall Paper offers new insight into those countries and organisations flouting UN sanctions to buy military hardware and services from North Korea. Latest articles examine the US Long Range Strike Bomber and the SDSR's Combat Air Oversight. This conference will focus on how ‘human-led automation’ could succeed ‘warfare in the information age’ as the primary focus for defence and security operators and suppliers alike. The conference will also explore the implications of announcements made in the UK defence review (SDSR) and National Security Strategy (NSS). Paris: An Intelligence Failure or a Failure to Understand the Limits of Intelligence? Iran and the Possible Military Dimension: Case Closed?